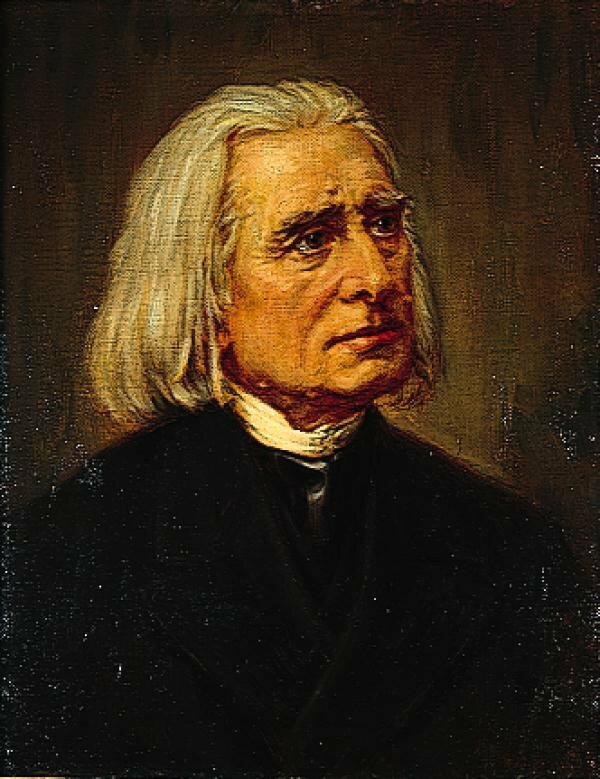 Franz Liszt (1811-1886) was a virtuoso pianist and composer who spent much of his life in Budapest. 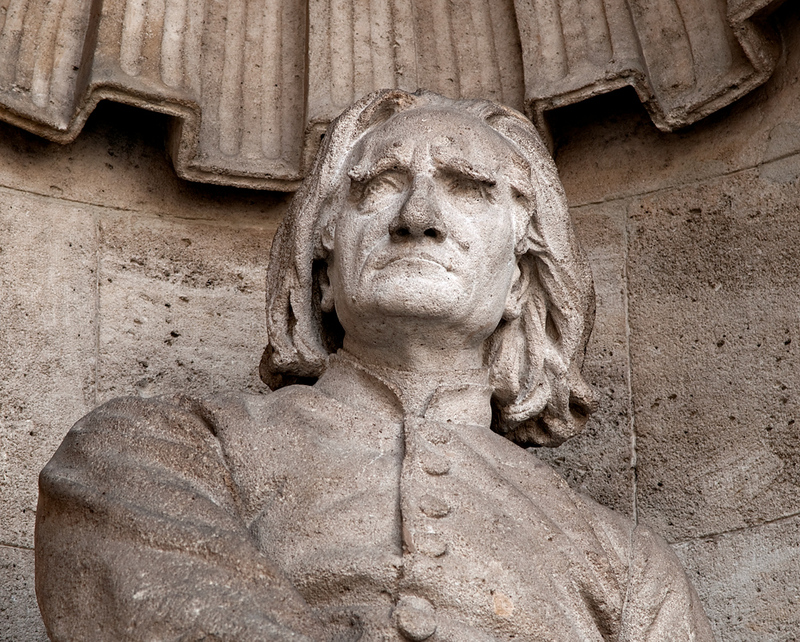 Today, the Hungarian capital has many monuments to the composer, including a museum that was once his home. 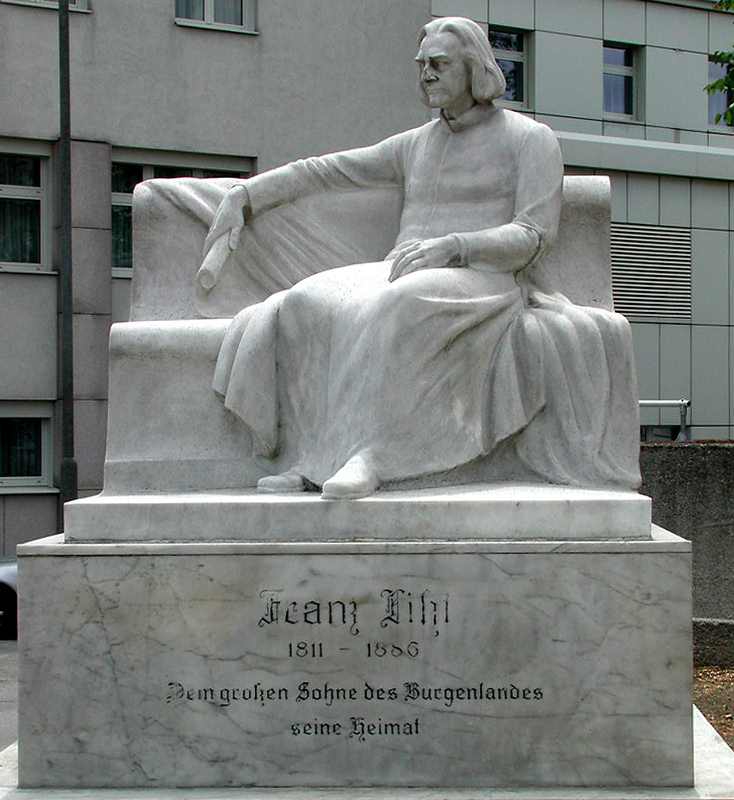 He also traveled to Austria, and there are monuments to him in Vienna and Eisenstadt. 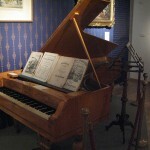 Liszt Museum. 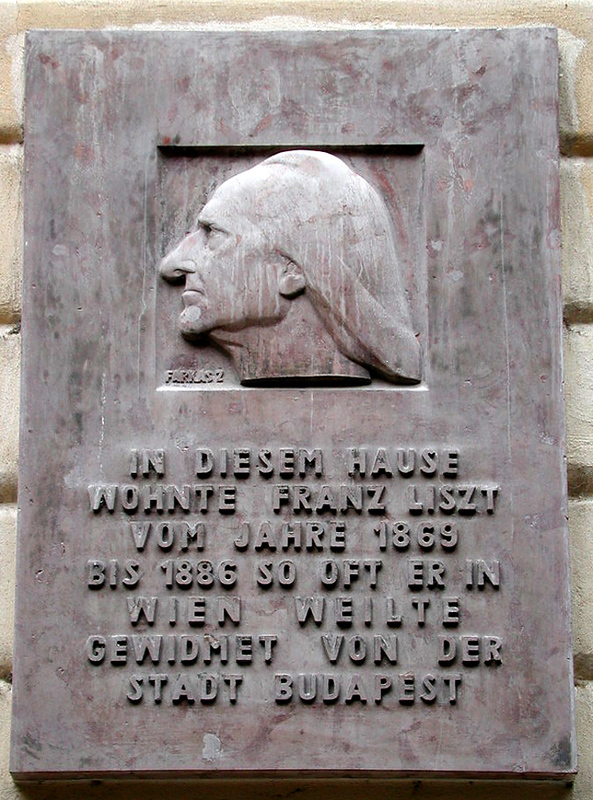 Near the opera house, this was the nicest of Liszt’s homes in Budapest. 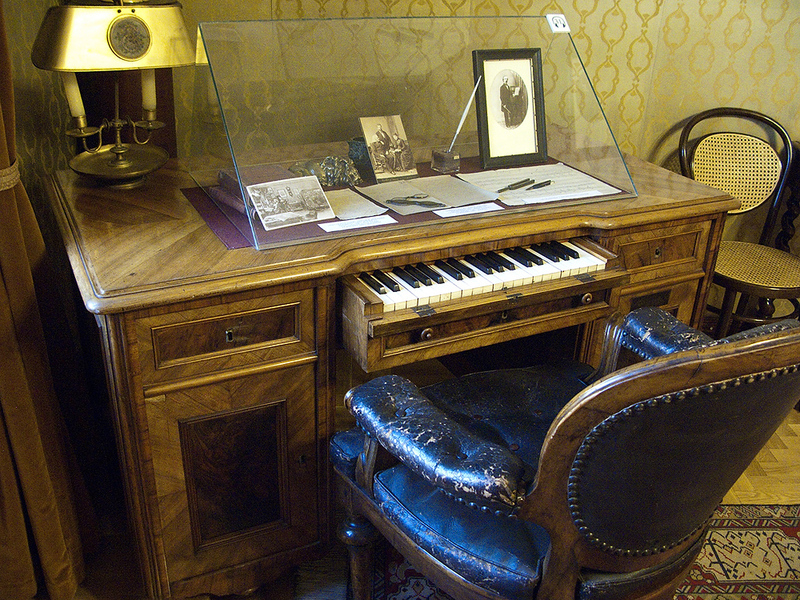 Much of his original furniture has been preserved, as well as awards, statues, and other memorabilia. 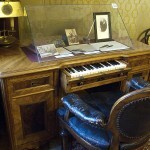 Of particular note are several of his pianos, including this desk with a small keyboard in the top drawer, given to the pianist by the Bosendorfer Corporation. Hungarian Opera House. Liszt is well represented in the opera house. He is shown in one of two large statues adorning the front of the building. The other statue is of the architect. Museum of Musical History. This is a lovely museum in a elegant building on a side street not far from the Matyas Church on the Buda side of the Danube. 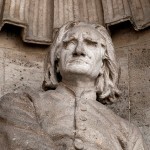 The museum has changing exhibitions, and Liszt is always represented. Schottenhof (Scottish Courtyard). 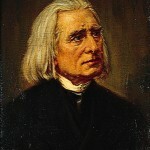 Liszt visited Vienna several times. 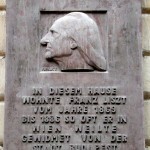 During one of these visits, he stayed in the Schottenhof, marked by this plaque. 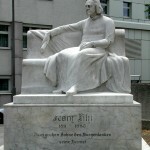 Liszt monument in Eisenstadt. 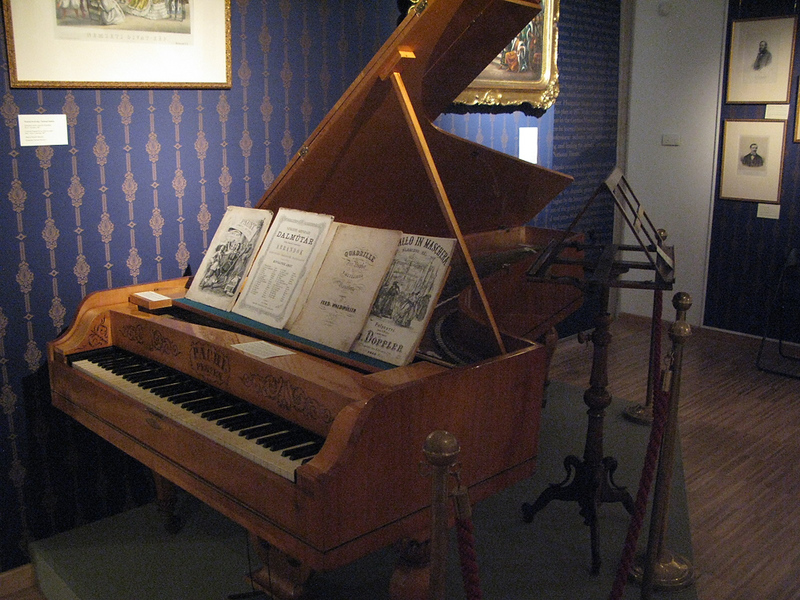 Liszt’s father was a musician who worked for the Esterhazy family. He know Haydn and Beethoven. Just across from Esterhazy Palace is this monument to the Hungarian composer. It was fantastic. Dr. Nelson did a wonderful job of making the trip work and keeping the participants informed. The cities selected and the hotels we stayed at were wonderful, with excellent locations.